I've been head deep into a great game-project where I'm using UNO & Fuse for the first time on a commercial project. 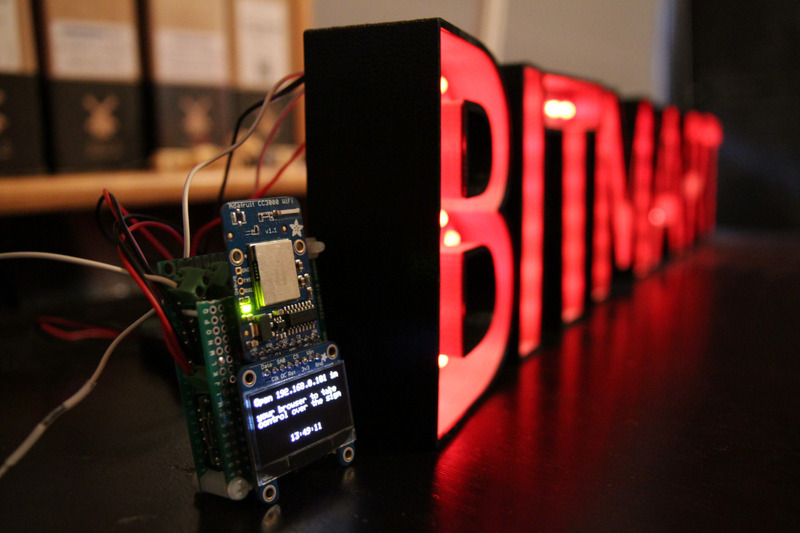 Before this, I spent about two weeks making a nice LED sign that will be used at Bitraf above our mini-hackerspace-shop called Bitmart. I want to be able to control this using any phone so I spent a solid amount of time getting various ESP8266 boards play nice with a Teensy 3.1. That turned out to be a nightmare. I originally intended to make a library around it, but I gave up. They are simply too buggy and running the auto-update makes it corrupt itself, so I now have 4 dead once's that I'll have to flash. How hard can it be? I tried using the CC3000 from Adafruit with the Teensy instead. It went better, but it did by no means become very stable. Turns out the CC3000 chip is so buggy that even the makers (TI) have given up on it. Too bad that I bought 3 of these boards then… What next? Well, work took over and now that I'm wrapping up the game project, I'm back to this project again. What next? I've done 45+ Kickstarters and some of them have been for Arduino-like things. One of these is the Spark Core. I never played around with it when I got it, but figured I'd check if that could solve my wifi problems. The Spark Core also has a cc3000 chip, but it's all in one board with an ARM M3 processor to control it. 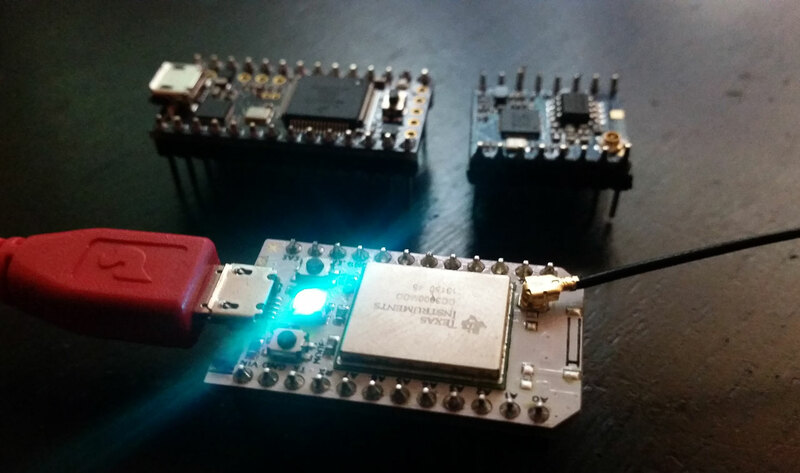 Since the release, the Spark team has put out two new products (Photon + Electron), but since they're making a living from their first product (for now) they've ironed out some of the Wifi problems with the CC3000. So I followed the instructions and .... nothing. The "smart-app" wasn't smart enough. I updated the Core via USB / terminal so it had my wifi-credentials, but it failed to connect. The LED went from white, green, white and then solid magenta. This state isn't described in the docs so I asked via their forums. Within 15 minutes I got the info that I needed - since my core was an early version, it did not have the required firmware to connect to my WEP2 wifi. A firmware update would solve this. After running the update, I could then connect it and use it. Thanks to ScruffR for the solution! Posting it here for Google to grab it as I didn't get any good search results solving this. Nice to have both wifi and MCU on one vs two boards! Teensy 3.1 with an ESP8266 in the back, Spark Core in front.